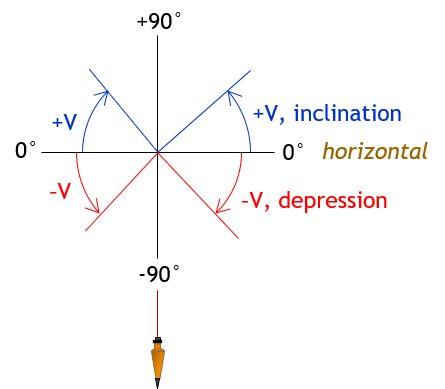 A traditional Vertical angle is measured up or down from horizontal, Figure F-2. It ranges from -90° below horizontal (depression) to +90° above (inclination). This is typical of angle measurements with traditional open-standards American transits. 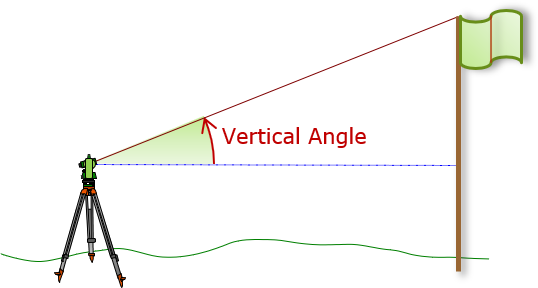 A Zenith angle is measured from the upper end of the vertical line continuously all the way around, Figure F-3. 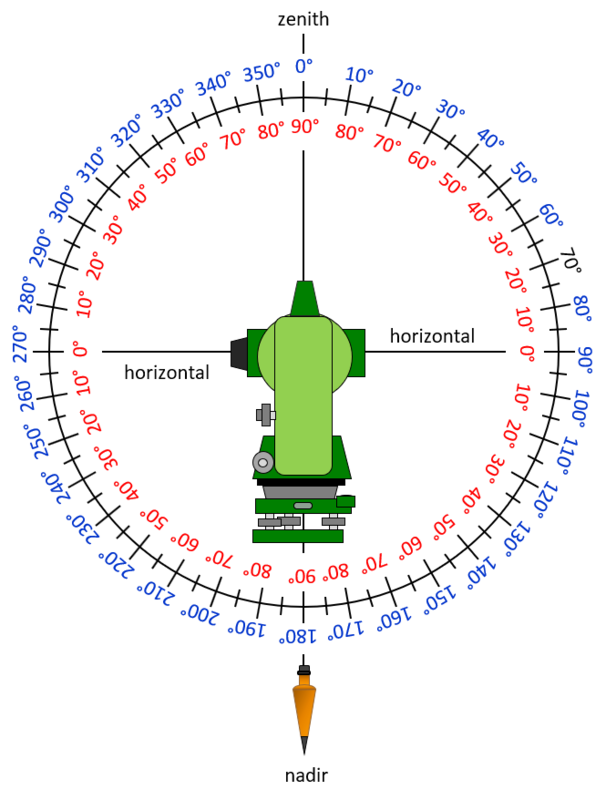 It ranges from 0° directly upward (zenith) to 90° on the horizontal to 180° directly downward (nadir) to 270° on the opposite horizontal to 360° back at the zenith. This is typical of angle measurements with closed-standards optical transits and theodolites. 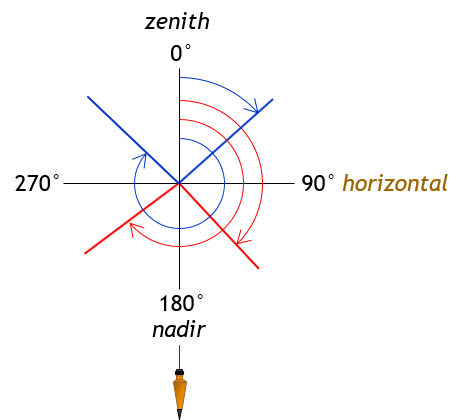 Figure F-4 shows combined Vertical (red) and Zenith (blue) angle circles with an instrument at their center as a reference. This figure helps understand how the two types of angles relate to each other.